Last night my Stampin' Up! order arrived and I was so stinkin' excited! This was the order that I placed RIGHT AFTER convention! So it has lots of treats and goodies in it! Not only does it contain some Memento Mall Items, (Love my new Convention Sweater!) but also some great new product that we saw at convention! 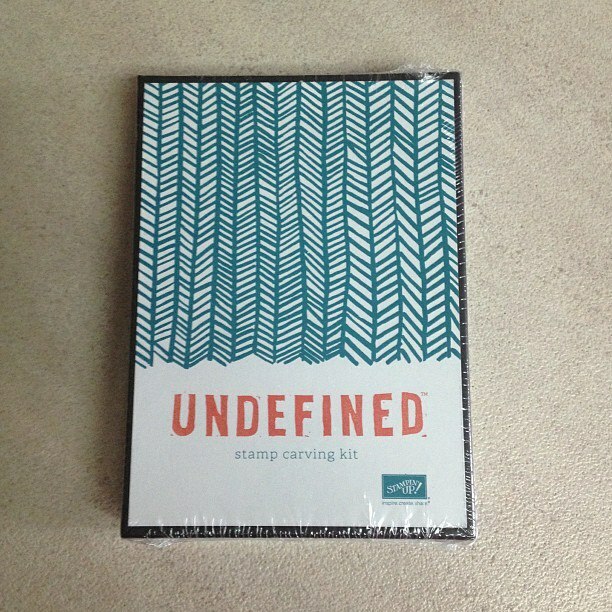 The one thing I was most excited about was the Undefined Stamp Carving Kit! They revealed this new product at convention and I was SO excited about it! Have you ever gone to create a card and wished you had that one specific image? 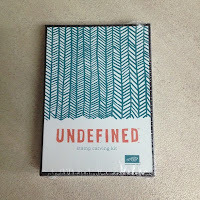 Well, It's those moments that Undefined is for! 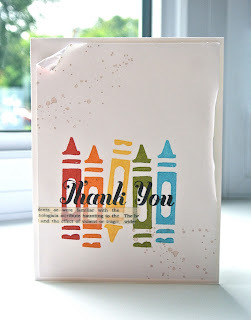 This kit literally allows you to create your own stamp! You draw up the image, carve it out and stamp away!!! What would you create? 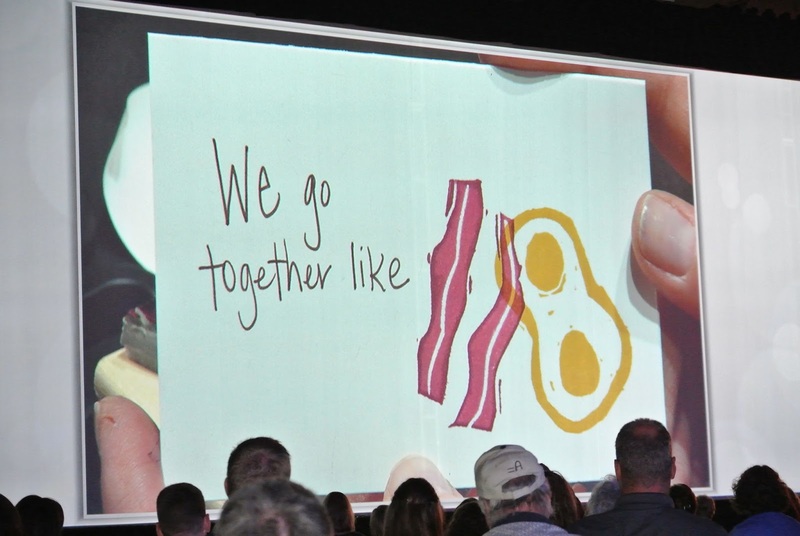 At convention, Shannon West already carved out the ultimate image of...BACON! AND she accompanied it with eggs! So of course I had to play with it and this is what I created! Now, I'm a perfectionist....so I did struggle at first. I was going to scrap this image because my lines weren't straighter then straight and I took a notch out by mistake, etc, etc. But my husband came around and saw what I was working on and just out of the blue, he said that he love how I made my crayon looked rough. Yeah....that's it... I did it on purpose! wink, wink! and continued on with the look! So what do you think? * and just incase ;) some image templates! Well I'm off to create another stamp! 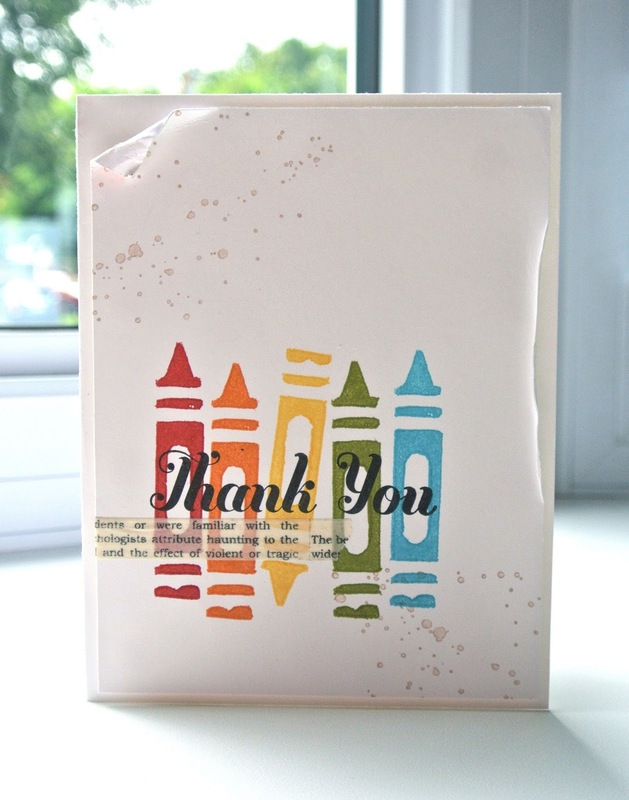 If you would like to see more Undefined creations, check out Stampin' Up's Pinterest board! It great seeing what people have created! super cute! I would never believe this is not *exactly* what you meant for it to look like!